Back from the break and The Miz is in the ring for MizTV with The Bella Twins, Natalya, Cameron, Naomi, Eva Marie and Jo Jo Offerman. We get some preview clips for Total Divas. 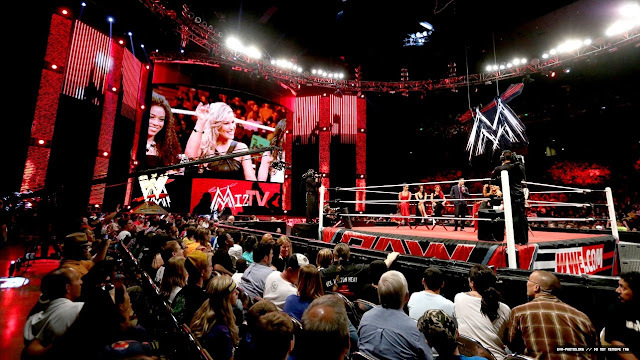 Miz introduces the Divas and turns things over to Jerry Lawler, letting him emcee MizTV. Lawler knows the other Divas but introduces himself to Jo Jo and Eva Marie. Eva doesn’t shake his hand and says she doesn’t like how Lawler is looking at her. She introduces herself and says she’s here to make a name for herself. Eva slaps Lawler. Lawler hands things back over to Miz and he plugs the debut episode next Sunday night. WWE.COM – ‘Total Divas’ Q&A with Eva Marie!